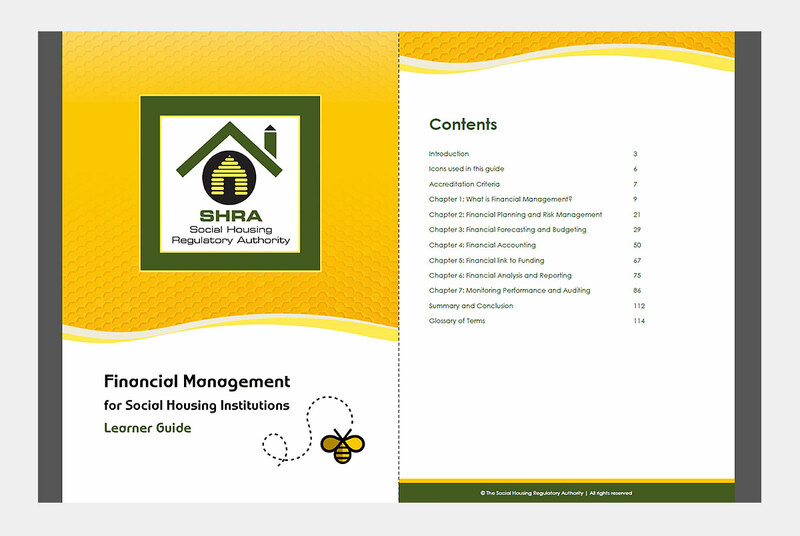 SHRA stands for the South African Social Housing Regulatory Authority. 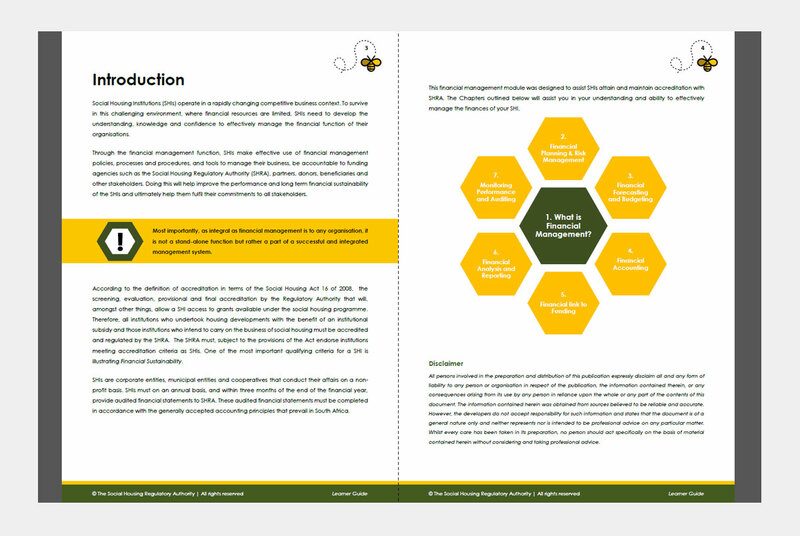 We worked with a marketing partner to produce a series of training and presentation documents for various workshops aimed at empowering our people. The project entailed a high level of visual understanding, conceptual development and branding understanding. We worked tirelessly to produce these documents in record time. Another happy client.